Pedal boats coming to downtown Jacksonville. Kraken Cycleboats will unveil their unique ‘paddle pub’ to the shores of downtown Jacksonville later this month. Launching from the docks of Friendship Fountain, passengers can rent a 15-person paddle boat with a built in bar. 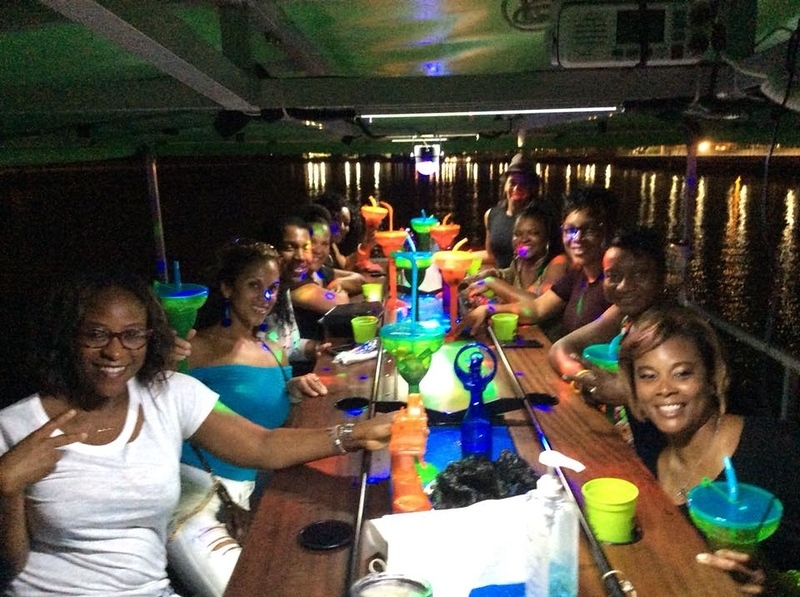 Described as a party on the water, guests bring their own beverages and snacks on board. 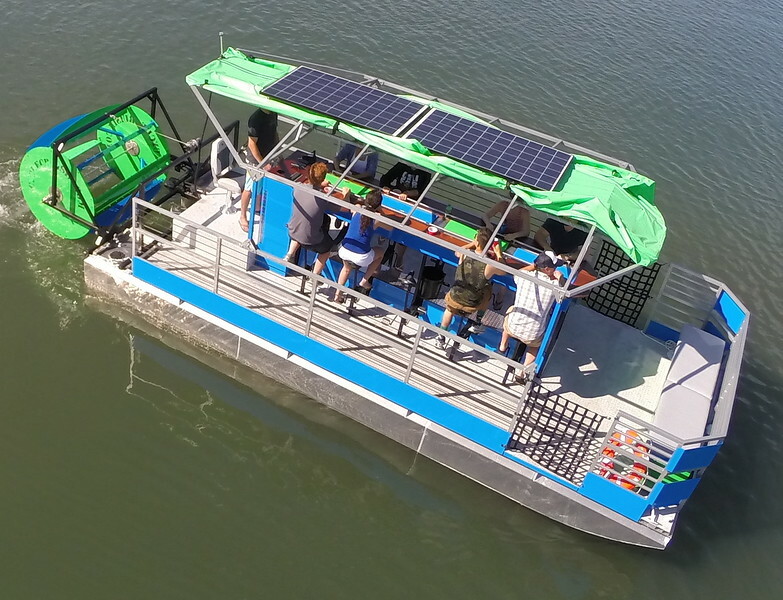 The company provides cups, piped in music and a tour guide that steers the boats while passengers collectively pedal a paddle wheel the propels the vessel. The company currently operates the service in Tampa and Jupiter. The concept is not unlike the bike-powered pedal pubs seen in cities like Savannah and Nashville. While those types of businesses are illegal on Florida streets, the same restrictions do not apply to Florida’s waterways. The company will offer four tours per day during the week and up to five tours on the weekends. Weekend tours cost $39 per person, while weekday tours cost $35 per person. 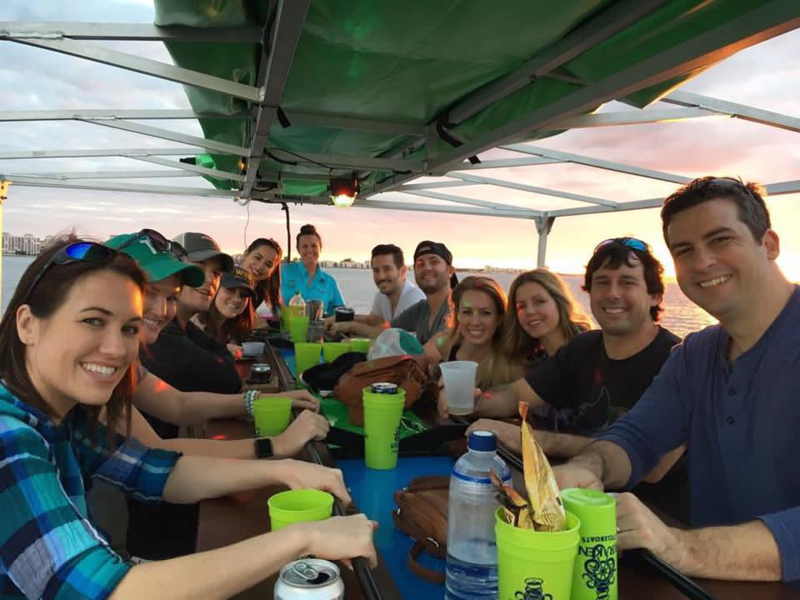 If a group wants to rent the entire boat, there is a $60 discount. All passengers must be at least 21 years of age. Depending on tides and weather conditions, the river’s current through downtown Jacksonville can be quite swift. While non-motorized craft can operate under these conditions, most experienced kayakers avoid paddling against the current when traversing downtown’s waterways. Pub peddlers beware.